As we head toward the October General Conference coming up, here’s a quick look at a few teachings from the last General Conference (April 2010) as found in the May 2010 issue of the Ensign magazine. Are Christians More Concerned About Doctrine Than Obedience? This entry was posted in General Conference, Worthiness and tagged General Conference, Worthiness. Bookmark the permalink. Oh, no. If eternal preservation and perpetuation of families depend on spiritual preparation that comes through OBEDIENCE – we are all doomed!!!!! It´s funny how as a mormon i thought i was well with God just because i didn´t drink coffee or alcoholic beverages, did my home teaching once or twice a month at most, read the Book of Mormon, prayed every day, and didn´t do all the bad things the other people on church did – didn´t watch tv on sunday(that was keeping the sabbath day holy as i was taught growing up), was always on time for meetings, always reverent, was always helpful, etc. If that´s the criteria then Heaven belongs to the Pharisees! Luk 18:13 "And the publican, standing afar off, would not lift up so much as his eyes unto heaven, but smote upon his breast, saying, God be merciful to me a sinner." I remember general conference announcements in my ward, the bishop would say: Attend conference is the best thing you can do, the opportunities to hear A "PROPHET" OF GOD and to learn from them is a privilege(something on that tone). like you can´t open the Bible and read what the prophets and apostles already spoke… it sounds just like this passage – Act 17:21 (For all the Athenians and strangers which were there spent their time in nothing else, but either to tell, or to hear some new thing.). Act 10:25 And as Peter was coming in, Cornelius met him, and fell down at his feet, and worshipped him. Act 10:26 But Peter took him up, saying, Stand up; I myself also am a man. Thanks for your article, and the quotations you've shared. <quote>Even today heretics pretend the name of God, of Christ, and of the Church, and teach their doctrine as the pure gospel of Christ. The truth of the gospel is that our righteousness comes by faith alone, without the works of the law. The corruption or falsehood of the gospel is that we are justified by faith but not without the works of the law. In the above passage, the author is discussing Galatians 2:4-5. He begins by lamenting the spiritual deception present "even today," as it was in the church at Galatia. And what was the author's day? It was 1531, during a lecture series he presented at the University of Wittenberg. The author was Martin Luther. Sadly, our day is not so different from his. If we work really hard at being religious, we can force God to bless us. Finally, we've discovered a way to get Him to do what we want. All I see here is justification for those who couldn't handle the LDS lifestyle. I've studied both philosophies heavily (LDS & Protestant) and the LDS concept of God's alchemy process, turning base material into gold, is the most powerful and profound idea in the world. The transforming power of this alchemy is at the heart of Mormonism. The covenants, laws and sacrifices associated with this process elevate mankind and are the catalysts for evolution. Anything less is theological cotton candy, sweet, but nutritionally lacking in the core elements that transform individuals into higher social states. Give me the transforming power of the above qoutes over the spiritually vague and shallow, feel-good worship of evangelicalism any day. If the definition of insanity is doing the same thing and expecting different results, then the Protestant heaven is insane. Why would that world be any different than this evil Earth life if the people are the same there, if no evolution is required? If any slacker or evil prone person who "accepts Jesus" is allowed in, how will it not be plagued by the problems here? There must be a sanctifying and purifying of hearst and minds (Zion) to ensure it will be a divine place. "I've studied both philosophies heavily (LDS & Protestant)"
I doubt that(that you studied Protestant "philosophy") very much after reading your entire post. 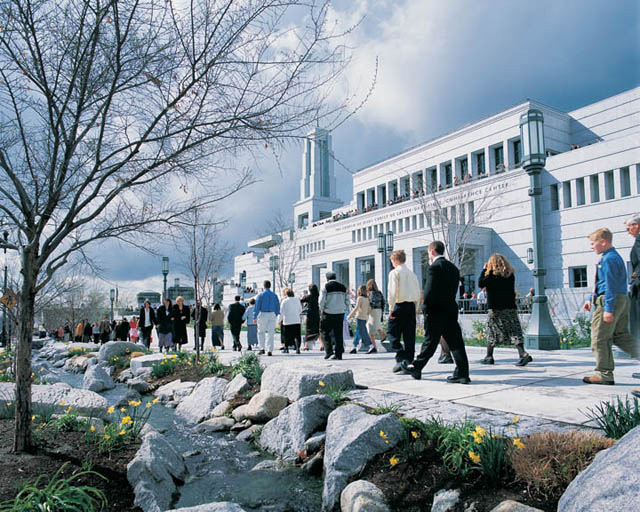 "All I see here is justification for those who couldn't handle the LDS lifestyle." " the LDS concept of God's alchemy process, turning base material into gold, is the most powerful and profound idea in the world"
Ok, so mormonism is now officially a pagan religion. "Anything less is theological cotton candy, sweet, but nutritionally lacking in the core elements that transform individuals into higher social states." See, i think this applies to your religion. The core element is Jesus. Are you calling the work of God through the Holy Ghost that transforms people from within "cotton candy"? I also want to ask you, does truth matter to you? Or do you think that the characteristics of a philosophy is what makes it true? "If the definition of insanity is doing the same thing and expecting different results, then the Protestant heaven is insane." Again – tell me, how is your religion doing any different? Because i was a mormon for a long time, and have never seen the mormon church trying to do different things to get "different results". Oops, i forgot the new ad campaign that shows that mormons are just normal people… right, sorry about that. "Why would that world be any different than this evil Earth life if the people are the same there, if no evolution is required?" If you had actually studied Biblical Christianity, you´d know that it´s not about "evolution", is about transformation, or, in the words of Jesus – to be born of the Spirit. In Heaven things will be perfect because God will transform us to a perfect state – and honestly you can do all the alchemy you want, you´re never going to be any bit better yourself by your own efforts, even though you think you are(just because you probably helped in some service project, or you straightened some aspects of your life to be able to receive the mormon priesthood). "If any slacker or evil prone person who "accepts Jesus" is allowed in, how will it not be plagued by the problems here?" Ethan, here´s the problem – we are all evil in the sight of God. You need to read your Bible again, you probably missed that the first time(that´s another reason i doubt you ever studied Protestant Theology). "There must be a sanctifying and purifying of hearst and minds (Zion) to ensure it will be a divine place." Yes, there is and it´s the work of God through the Holy Ghost because of the blood Christ shed for us on the cross. That´s not Zion, Zion is a fictional utopian concept made up by Joseph Smith(probably influenced by freemasonry), the whole city of Enoch is pure fantasy as well as that "perfect society" in 4 Nephi. Moses 7:18 "And the Lord called his people Zion, because they were of one heart and one mind, and dwelt in righteousness; and there was no poor among them." Mark 14:7 "For ye have the poor with you always, and whensoever ye will ye may do them good: but me ye have not always." D&C 130:20-21 "There is a law, irrevocably decreed in heaven before the foundations of this world, upon which all blessings are predicated— And when we obtain any blessing from God, it is by obedience to that law upon which it is predicated." Mormons willfully ignore this passage – Eph 2:1 "And you hath he quickened, who were dead in trespasses and sins;"
Dead people can do nothing – it would be the same as to tell a dead man to make his heart beat again so he can come back to life. What you wrote is pure Gnosticism. Christianity is bitterly opposed to Gnosticism. Always has been. Always will be. I don't need to demonstrate which one of these world-views is right or wrong here because your movement claims to be the "restoration" of the Christian Gospel (you know, the message of Jesus of Nazareth and his followers?). I even don't need to care if you like the Christian Gospel or not (it seems you don't). 1 Is it even remotely ethical to present your faith as "true" Christianity, when it is irreconcilably opposed to the message of Jesus and his followers? 2 Why should the message of Jesus and his followers conform to your (Gnostic) preconceptions? Finally, the "gospel" of Gnosticism does nothing to free a person or raise the dead. It's not even a gospel at all. There's no "good news" or even "big news" (which is the meaning of the word 'Gospel') about it. It's a lie. Why? Because Christ was raised from the dead (which is something you claim to believe). Now, if you were to say that you do not believe the Bible to be the Word of God, we'd be having a different conversation. But you do, so we will continue to look to it to shed light on what the Christian Gospel is and what it is not. 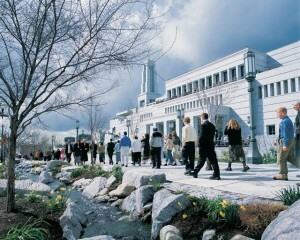 what your prophets have counseled the " LDS lifestyle " to be , correct ? if you broke the law of God today (and you did) then you are accountable for all of it as if you broke all of it. Why? Because you have become "a transgressor of the law" (James 2:11) Here is Paul's plight. Here is my plight and yours. "Who will deliver me from this body of death?" (Romans 7:24) If you don't know that you are a lawbreaker you will buy the lie that you can obey your way to heaven. When you realise that, like Paul, your sinful nature has made you "wretched" only then will you know what it truly means to throw yourself on God's mercy and declare: Thank God for Jesus!